KAMPALA – Court will this morning August 29 deliver its final verdict in the case in which former works minister, Eng Abraham Byandala and 7 others are accused of embezzling over Shs24billion that was meant to up-grade Mukono-Katosi road project. Justice Lawrence Gidudu of the Anti-Corruption Court at Kololo set August 29 to determine the fate Eng. Byandala. Eng Byandala is jointly charged with businessman Apolo Senkeeto alias Mark Kalyesubula who was the country representative of Eutaw Construction Company, which is accused of fleecing Uganda National Roads Authority (UNRA) of Shs24.7 billion in the collapsed Katosi road contract. Other suspects include former Acting Executive Director of the Uganda National Roads Authority (Unra) Eng Berunado Ssebugga Kimeze the former UNRA director of finance and administration, Mr Joe Ssemugooma, Mr Wilberforce Senjako (former regional accountant) and Mr Isaac Mugote (former staff of Housing Finance Bank). Prosecution states that Eng Byandala abused his office while holding the Works ministry by a November 14, 2013 letter, when he directed the immediate signing of the contract between UNRA and Eutaw yet the company lacked the capacity to carry out the roadworks. 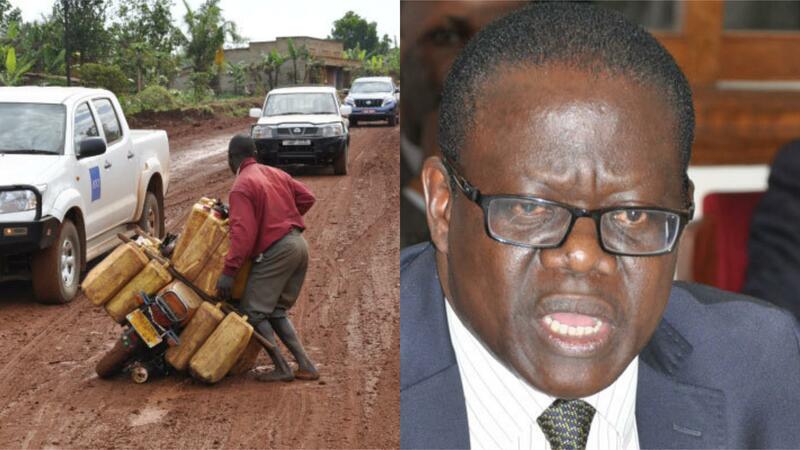 IGG accuses the minister who was dropped from holding the Works docket in March 2015, for having, in an August 27, 2014 letter, abused his office by ordering for the continuation of the works on the Mukono-Katosi road by Chongqing International Construction Corporation (CICO). The IGG contends that this act also amounted to disobeyed lawful orders by Byandala. The IGG alleges that Eng Kimeze abused his office when he signed a contract with Eutaw without establishing that there was a valid performance guarantee and issued a payment guarantee which allowed the payment of over Shs24 billion to the detriment of UNRA’s interests. Eng Kimeze is separately and jointly charged with Mr Semugooma over causing financial loss to the government by approving payment of the Shs24 billion to Eutaw despite glaring defects in the due-diligence report.